Perfect for…Families, couples, groups of friends, anniversaries, hen and stag parties, wedding gifts, company incentives…. 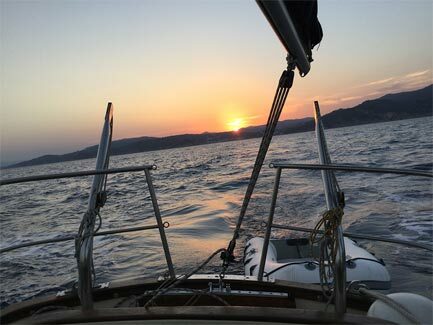 Sail from Sant Feliu de Guixols in the direction of Tossa de Mar (SW) going by Cala Vigata and casting the first anchor at Punta d’en Bosch. Have snack and a swim. 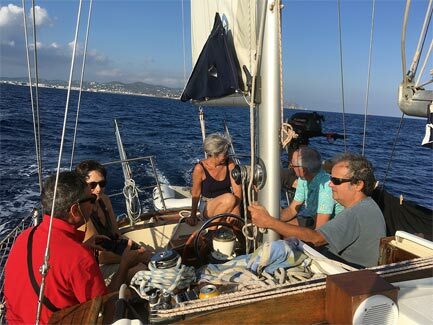 We then continue along the coast going by the beaches of Canyet and Sr. Ramon, staying on board until arriving at Cala Futadera or Giverola where we will cast anchor and then have lunch on board. We then continue along the route going by Cala Pola and Cala Bona until reaching the Tossa de Mar Bay. We will then go round the lighthouse and edge towards the coast until reaching the Llorell Bay and Cala Morisca where we will cast anchor for the last time for a swim. The sail back will be away from the coast. An unforgettable experience! The boat is comfortable and fun. His skipper, an excellent professional, made us feel at all times safe and very comfortable. The tour is beautiful ..
A delicious day with Jordi, a great captain who made us all enjoy the sea and the beauty of the Costa Brava. 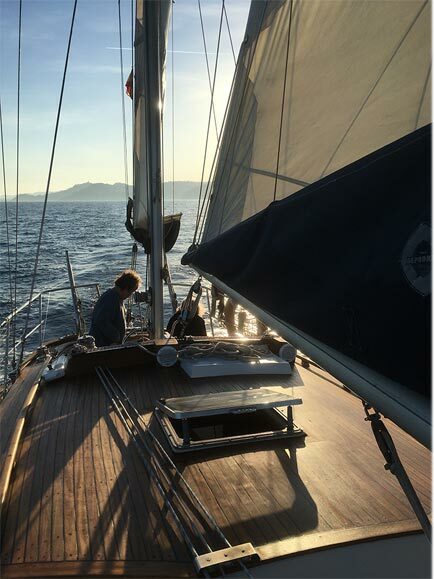 Sailing on an impeccable sailboat with an expert captain is a unique experience. Thanks Jordi Mas for this unforgettable day.